Many technologies are existing here, depending on application requirements. For Industrial applications, ImaginOrient Europe can help you design capacitive TP products which are adapted for working behind up to 8 mm glass structure for Industrial Command & Control systems, POS application, Bank terminals, etc. Of course, we can also design classical resistive and infra-red TP. Feel free to Contact Us for request. Capacitive TP is very popular in Asia. One of the reasons, beside a booming market, is that LCD module production tools are very easily adapted: Glass Handling, bonding and semiconductor based processes are also used, requiring use of Clean room facilities. Today capacitive TP are based on ITO material, new materials (Carbon Nano, Metal Mesh) are now coming with better optical and electrical performances. Resistive TP was first to be developed. 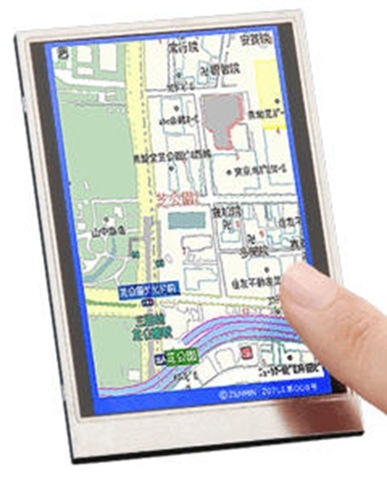 Based on physical depression of a flexible layer onto rigid base material, it is common and cheap solution, many displays are already available with such TP with connections integrated on the display main FPC. Resistive TP structures are popular in a lot of professional applications. It is a well-known, stable & “predictable” technology, and required mechanical force applied by the operator to move the TP structure gives a good “mechanical key-like” feedback. Resistive TP implies strong base material with minimum thickness 1 up to 4mm, depending on display size. Top layer scratch resistance and durability can be a concern, it will be easily compensated by Glass/Glass technology, as opposed to the classical Glass/Film structure. Infra Red TP use one of the main technologies when it comes to large or very large Touch Panels, from 12″ up to 100″. A major benefit of IR touch system is that it can detect essentially any input including a finger, gloved finger, stylus or pen. It is generally used in applications and point-of-sale systems which can’t rely on electrical conductor (finger connected to ground through human body) to activate touchscreen. 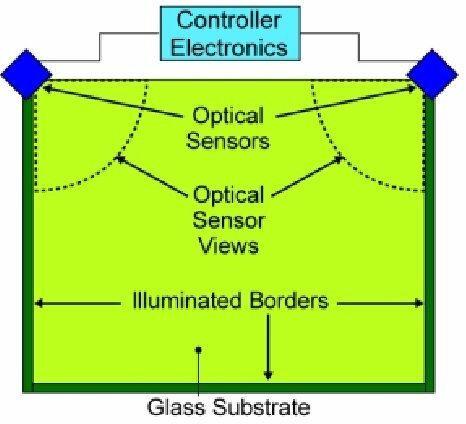 Unlike capacitive TP, infrared touchscreens do not require any patterning on the glass which increases durability and optical clarity of the overall system.